Home Articles News Congress reports E-commerce: prestige beauty is lagging behind! It is well-known that e-commerce revolutionized consumption patterns in many ways. What about the beauty industry? How are prestige cosmetics sales doing online? 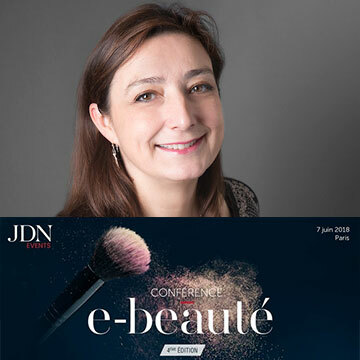 Mathilde Lion, industry analyst and Director of Beauty Europe of the NPD Group, dissected this issue at the E-Beauty day organized by JDN last June 7, 2018 in Paris. Today, e-commerce is on a roll, in France and in many other countries. But the sports and toy sectors are much more popular among consumers than the beauty world. And luxury cosmetics purchases only represent 6% of online sales. Although France still has a long way to go to catch up with bigger players like the UK and the US (prestige beauty sales in these two countries represent 17% of market shares), growth rises slowly, but surely. ‘According to a few scenarios, the weight of online penetration should accelerate by 2020’, she said. But, contrary to other sectors, why is prestige beauty lagging behind? According to the NPD Group analyst, this delay can be explained by this market’s complexity, since it requires giving advice. In addition, it is still very little targeted by pure players like Amazon. Lastly, Mathilde Lion emphasized the need to test, smell, or touch these products before buying them, which cannot be done on the web yet. Why did e-commerce creep into our lives until it became almost essential? To Mathilde Lion, several factors can explain this success. This ingenious system consists in placing an order online and collecting it in a store in just a few hours. It was adopted by most brands, and it is a good point, because it helps boost the traffic in stores and create an ‘online/retail’ bond. The web gives access to more offers, promotional codes, and flash sales. Such arguments cannot but drive consumers into buying. All marketplaces do not offer the same rates. As a result, there are websites to find the best deals and even receive alerts. As a matter of fact, generally speaking, prices online are approximately 15% lower than those found in stores. Last argument, but not the least: there is no queue online! Mathilde Lion said that prestige is still lagging a bit behind, but it is not the case of the other beauty product categories. It is skincare that is the most popular online, ‘simply because people do not necessarily need to smell or test a cream, contrary to makeup or perfumes, for example,’ the analyst explained. But the die is not cast. This year, makeup recorded the most significant growth rate in terms of online sales (44%). Ultimately, Mathilde Lion explained that beauty online sales are doing well because consumers have access to six times more references than in stores and there are fewer storage issues with distance-selling. In France, hair care, lipsticks and glosses, as well as anti-imperfection treatments are the bestsellers online. ‘It just shows online selling seduces young people and makeup fans,’ highlighted Mathilde Lion. It is true that the web leaves small brands more space, contrary to physical stores. Mathilde Lion revealed that the Top 10 prestige brands only weigh 57% online, compared to 63% in physical stores. This six-point difference can be explained by the fact that online, everyone is equal: we are far from the animations organized in stores. In conclusion, Mathilde Lion meant to be encouraging: this slight delay of prestige brands can be caught up. Luxury players do have a lot to do to boost their online sales, but it is definitely not impossible. Since their products require giving some advice, they will have to work on expertise online to help consumers and convince them to buy without testing, discover new launches, and be less reluctant to have a go.